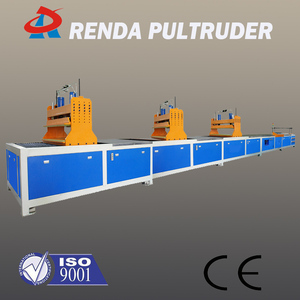 Renda FRP pultrusion machine use state-of-the-art programmable controllers , power units, pumps, valves and manufacturing technology. Renda provides the most comprehensive design, equipment, processing and technical support services available in the composites industry. We can provide orginal FRP pultrusion machine design according to your requirement, and then put your idea into real case. 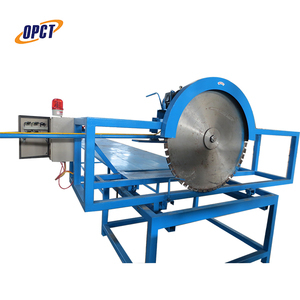 Rotation speed of cutting blade: 1450rpm c. Diameter of cutting blade: 600mm/50mm (inner) e. Cutting tracing journey: 700mm g.
Our FRP pultrusion machine can be used to produce different kinds of fiberglass profiles, such as pultruded grating, cable tray, pipes and etc. Our auxiliary machinery can be used to process the raw material or profile of fiberglass. 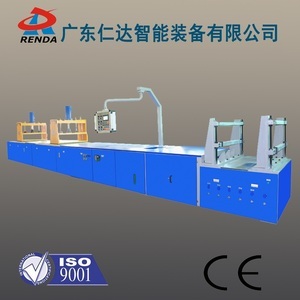 BJJ-900 High Speed Dispersing Machine: Equipment characteristic: 1. 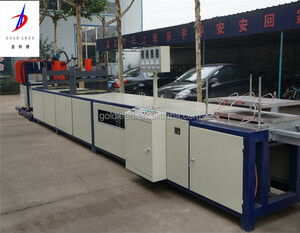 Special high speed dispersing equipment of FRP material; 2. Due to the hydraulic pressure driving system, the dispersing axis can elevate and lower steadily, and it can swing in a circle, so that it can sufficient mix the material; 3. The electromagnetism speed regulating motor can adjust the rotate speed arbitrarily according to the craft. 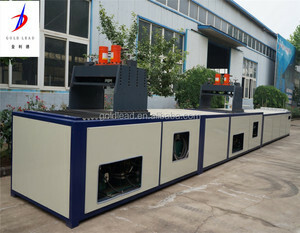 ZLRC covers all products related to environmental protection equipment, such as FRP/GRP products, FRP mechanical equipment. Now we are devoted to increasing technical level of products to be in conjunction to the worldwide needs. We are sincerely seeking any chance to coopetate with international customers with different ways. 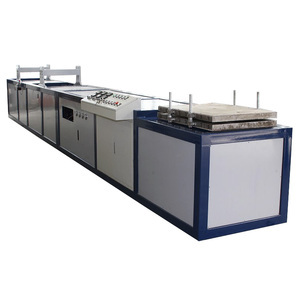 The machine is designed according to the big section profile, with the features of strong traction force; it is steadily to operate; 2, the main machine is steel structure, stainless steel panel, side panel is paint. 4. 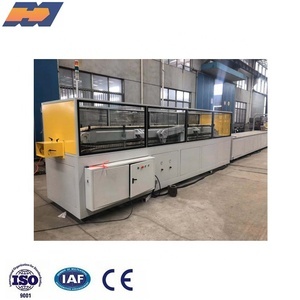 The machine had two hydraulic pressure system, it had strong ability of anti-interference; Hydraulic station: we used the latest technology: pump is multi-group pump source (to ensure stability in forward speed. Traction speed with precision throttle, to ensure the stability of traction speed, and stepless speed adjustment of the traction. 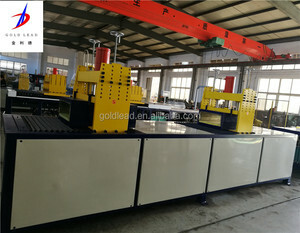 Factory make FRP fiberglass pultrusion profile machine Whole set frp pipe fiberglass pultrusion profile machine equipment Pultrusion process is a kind of process method for continuous produce the FRP pultruded profiles which have same section and same dimensions. 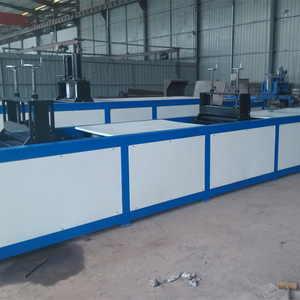 The machine can produce various FRP Pultrusion Profiles only need different molds, the profiles include Square tubes, Rectangular tubes, Round tubes, L Angles, I Beams,C Channels, and Rod fiberglass pultruded profile etc. 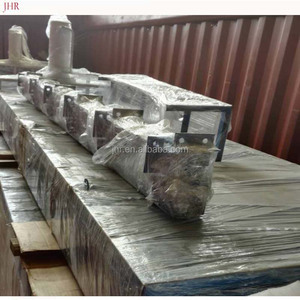 Product name fiberglass pultrusion profile equipment Certificate SGS ISO Usage Produce pultrusion profile Trade terms EXW, FOB, CNF, CIF Eco-friendly Yes Sample provide No Sample time No OEM Yes Shipping way By sea/land Product show Click for More Information!!! Jinghua Park Handan Machinery Technology Co., Ltd.
Model Item Data HB-LJ2040 Max. section area (mm) 200*100 Line speed(m/min) 1.2 Max. tractive force(n) 40000 Max. Alibaba.com offers 4,602 pultrusion machine products. About 31% of these are other fiberglass products, 15% are other plastic & rubber machinery, and 11% are plastic extruders. A wide variety of pultrusion machine options are available to you, such as free samples, paid samples. There are 4,586 pultrusion machine suppliers, mainly located in Asia. The top supplying countries are China (Mainland), Russian Federation, and Malaysia, which supply 99%, 1%, and 1% of pultrusion machine respectively. Pultrusion machine products are most popular in Domestic Market, Western Europe, and South America. You can ensure product safety by selecting from certified suppliers, including 2,585 with ISO9001, 532 with Other, and 335 with ISO14001 certification.